Our organization believes in celebrations with a cause hence we are conducting the 6th Annual Blood Donation Camp on 28th September 2018. The event is in tune with the current circumstances where voluntarily blood donation went down from 55% of the total collection to 45% between 2014 and 2017. This was determined by CAG in an audit of 68 blood banks in the National Capital. Motivated to change the scenario and make more people participate, Fiinovation has partnered with Deen Dayal Upadhyay Hospital for the event which will be providing the necessary medical facilities and staff. Raising the concern over the health care issues, Fiinovation urges the people and corporations to come forward, donate blood and save lives. 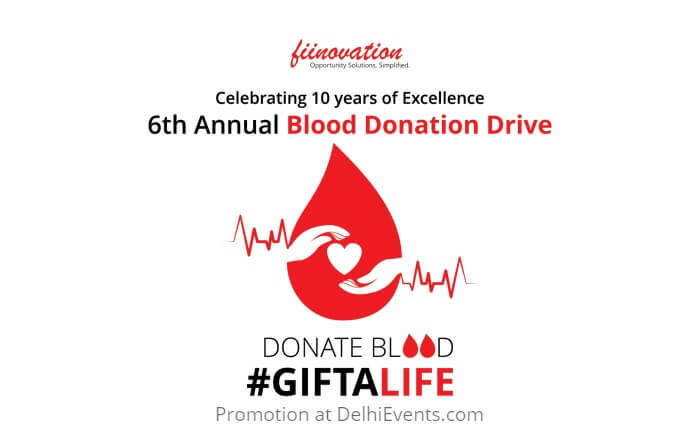 In addition, the event aims to create awareness about blood donation and clear the myths surrounding the noble cause.